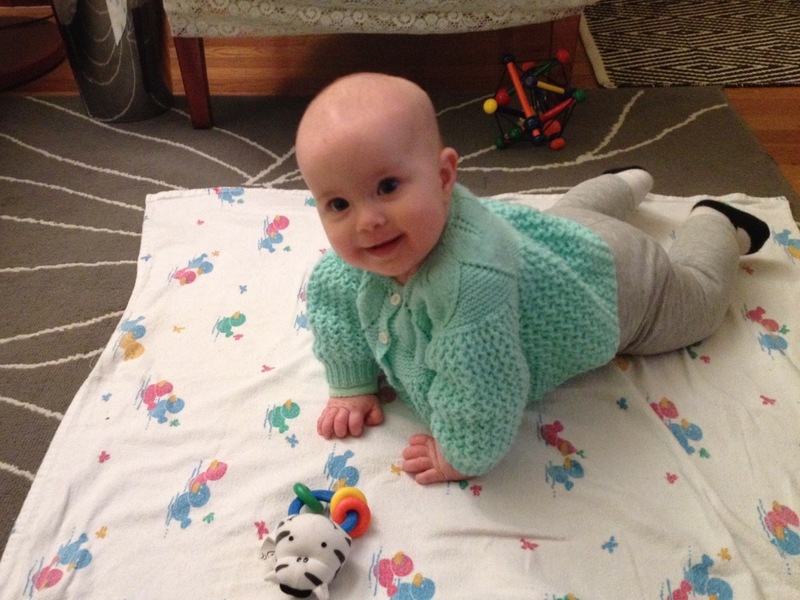 Colette is rolling over! She has been so close to doing this on her own for awhile now and she chose January 1 to debut her new skill. It has taken several days to get a video of her doing it, but I finally captured her rolling from her tummy to her back this morning. You’ll see in the video that she is protesting quite a bit because she had already done it once and then I put her back onto her tummy to make her do it again. Clearly she didn’t like that. She hasn’t rolled from her back to her tummy yet, but that isn’t surprising to us considering she doesn’t love being on her tummy. She’s getting better about it though. Here’s a cute photo of her enjoying being on her tummy this evening. Wow, I cannot wait to see this in person! Rylie and Devin watched with me and Rylie was so excited we watched it over and over, hope Colette didn’t get too dizzy! What A Difference A Day Makes Happy Half Birthday!